Sometimes long range fighting just doesn't cut it. When you need the rush of close range combat, Axe Attack is the go-to game. You've seen arrows flying whizzing by you. Will you be able to outrun a spinning axe? Learn to throw an axe and prepare for zombie apocalypse, impress your loved one or blow some steam off. The game is played in a similar manner to dodge ball, with two teams playing opposite one another, separated by a “safe zone”. Teams win by either eliminating all opposing team members by tagging them out with an arrow or by taking out all circles in the opposing team's “5-Spot Knockout Target.” Each fast-paced game lasts approximately 10 minutes. 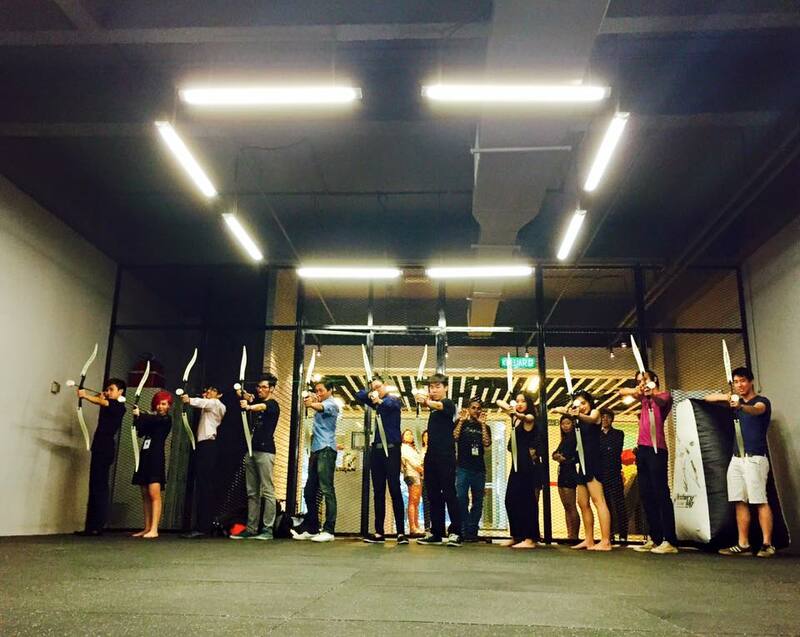 Team up with your friends and unleash that inner warrior in you! Our patented “non-lethal” foam-tipped arrows are completely safe and are designed to leave no bruises. 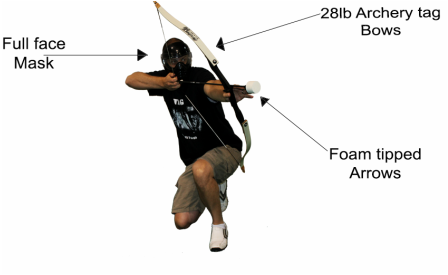 Arrows are shot using a traditional recurve/long bow with a maximum of 28lb draw weight. Arena 51 provides paintball grade safety masks and arm guards to ensure you and your team's safety at all times. Or, for any event you could possibly think of. 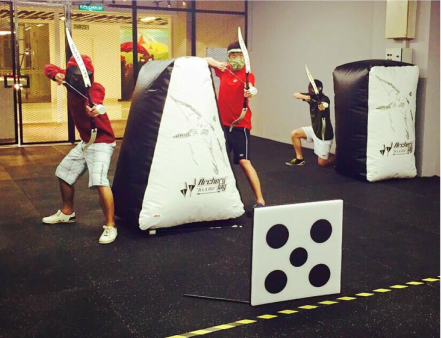 We are the main official licensee of Archery Tag® in Malaysia and are committed to ensuring your safety whilst playing this sport. Please check out the official instructional video from Archery Tag® USA.